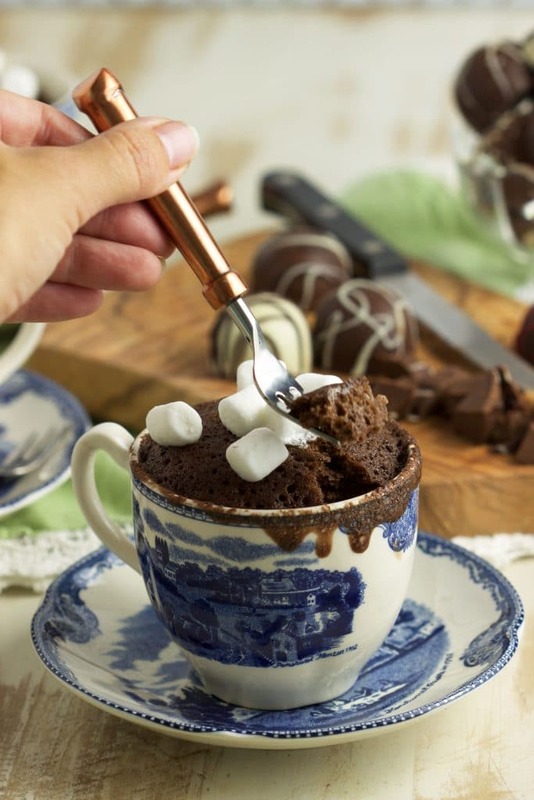 A fabulously fudgy, sweet treat that’s ready in just two minutes….this easy Hot Chocolate Mug Cake is studded with mini marshmallows and rich, creamy truffles. 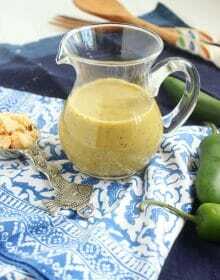 A fun dessert to squash any sugar craving! This post is created in partnership with Harry & David. All opinions and statements in this post are my own, as always. It’s rainy and cold….I’m waiting for snow. It’s time. We’ve been hanging outside lately in 60 degree weather and it’s not feeling very festive. More like early fall, I should be sipping a Pumpkin Spice Latte….not baking gingerbread and hanging twinkle lights. But I’m forcing myself to get into the holiday spirit and by the looks of my house, you’d think I’m going all Clark Griswold this year. I don’t know how he did all that decorating with such gusto and all while dealing with those crazy family members because I decorated one tree and needed to take a break. It’s all so exhausting but once it’s done….it’s so worth it. 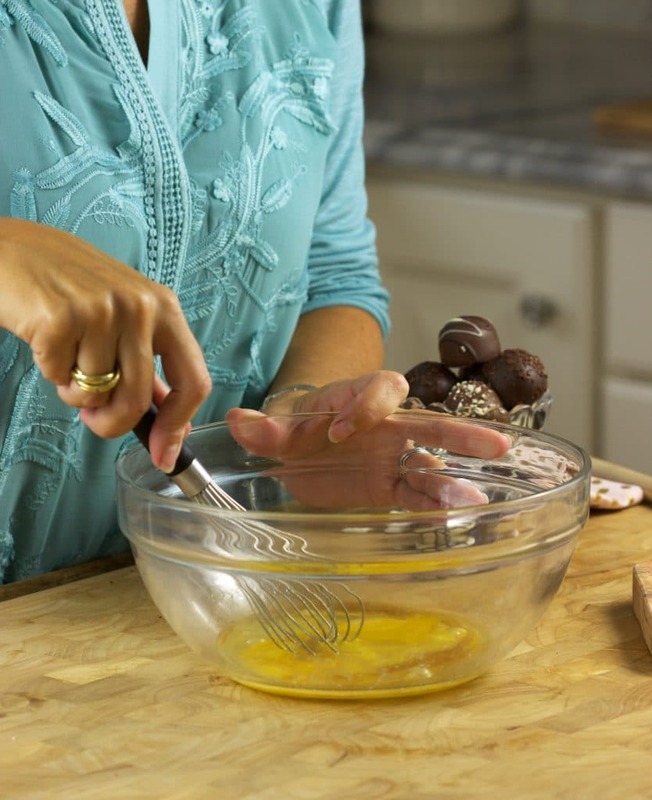 And then I can focus on the fun stuff….like creating sweet treats filled with my favorite Harry & David Chocolate Truffles. I’m a big fan of mug cakes because they come together in minutes….like two minutes to be exact. And depending on what you put in them they can satisfy just about any craving that comes to mind. This Hot Chocolate Mug Cake will smash any chocolate craving because it’s loaded with chopped truffles that I tossed right into the batter. 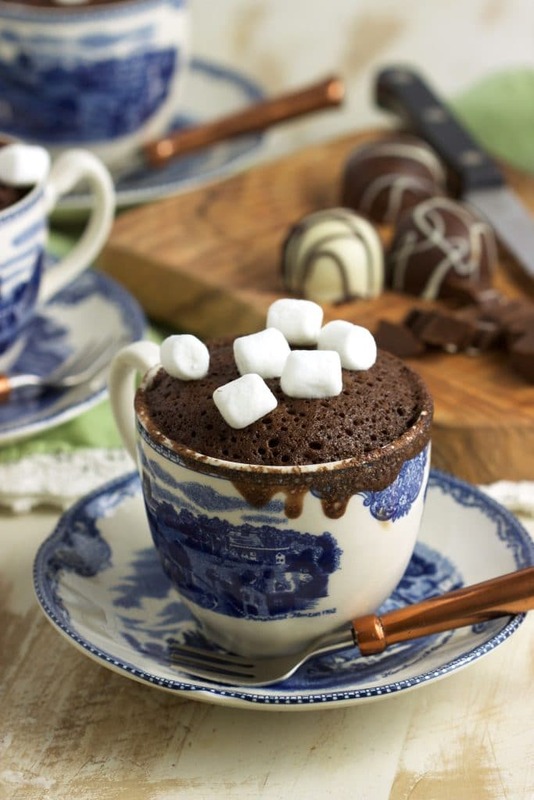 And to make it even more fun….and festive, I threw in a handful of mini marshmallows which totally melted right into the cake making it taste just like a hot steaming mug of hot cocoa. But cake. Like hot cocoa you can eat with a fork. Harry & David Signature Truffles are a indulgent treat all by themselves. There’s nothing quite like biting into the creamy center of a premium quality gourmet chocolate truffle. They’ve been using their signature truffle recipe for over 30 years, and it hasn’t changed because they’re perfect in every way. Made in their candy kitchen in Southern Oregon using a proprietary blend of chocolate, these exquisite treats come in an array of flavors, like milk chocolate, white coffee, and dark chocolate cherry. 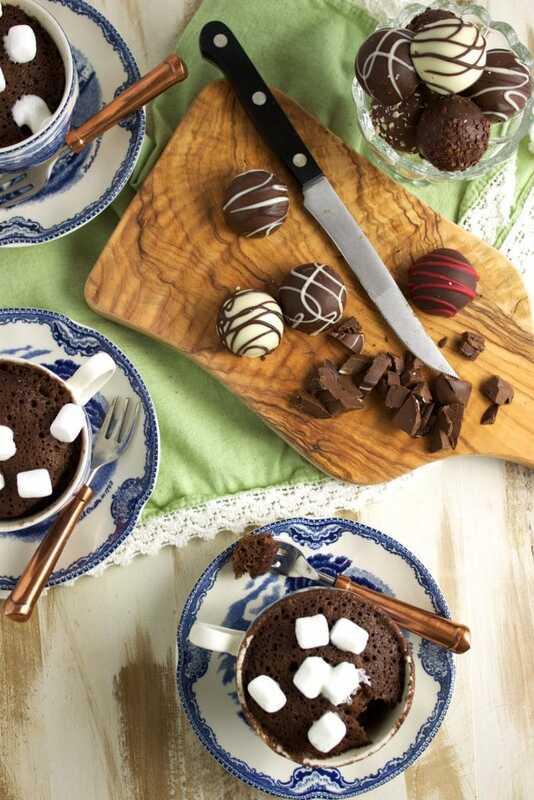 Timeless and delicious, these silky truffles are a chocolate lover’s dream and the perfect surprise inside your Hot Chocolate Mug Cake! This Hot Chocolate Mug Cake is the perfect snack for sitting by the fire with the snow (or rain) falling outside while watching the twinkle of your Christmas tree lights (or menorah) or binging on Stranger Things because you may be a little behind the rest of us. 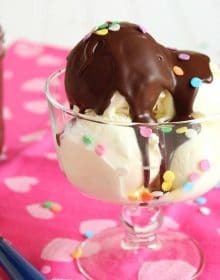 It’s one of my favorite desserts along with this Strawberry and Cream Mug Cake or THIS extra chocolatey little number. And since the ingredients are readily available….in fact, you probably have them in your kitchen right now! Even the non-baker can pull this one off…it’s the perfect ending to a roast chicken date night with the one you love. Dinner for two couldn’t be easier! 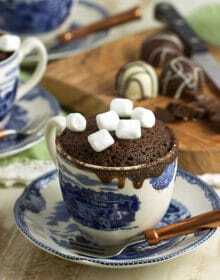 Small batch chocolate mug cakes for those times when you just need a little sweet treat....and fast! 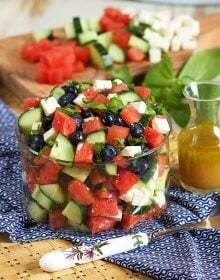 For the full recipe instructions visit the Harry & David blog. We just got some snow here yesterday! 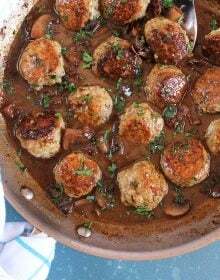 This recipe is so easy and will be perfect for the next snow fall. Any way to tell what type of coffee cup/mug WILL NOT do well in the oven or micro wave? Usually, I’ll just check the bottom to see if it’s microwave safe. If it doesn’t say it I’ll skip that mug. I know, so scientific of me.